High levels of social media activity can be used to forecast increases in protest participation – but successful prediction may depend on location, a study has found. 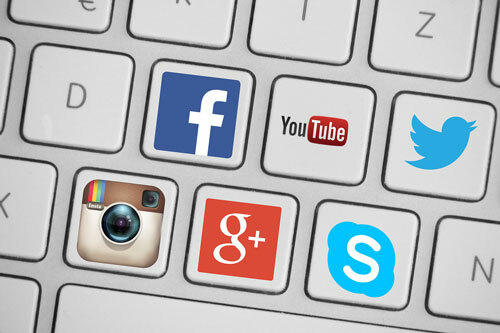 In a paper published in the Journal of Communication, by Marco T. Bastos, Arthur Charpentier and Dr Dan Mercea of City University London, the researchers found that making predictions with social media data was effective in some scenarios but not in others. The authors concluded that success in forecasting the scale of political unrest, using data from Twitter and Facebook, was likely to vary across different events. Dr Mercea, of the Department of Sociology at City, said differences could be due to the ways people interact with media of different types, such as broadcast media, in different parts of the world. The study looked at three case studies: the Indignados protest in Spain, on 15th May 2011; the Occupy movement, which occurred in 951 cities across the world in 2011; and the Vinegar protests in Brazil, during June 2013. Analysing six variables – tweets, Facebook posts, protesters, camped-out activists, arrests and injured participants – the researchers found there was a statistically significant relationship between social media activity and on-site activity in two of the three uprisings. It was concluded that monitoring Twitter and Facebook posts could forecast the next day’s protest activity, with Twitter playing a “pivotal” role in local co-ordination of logistics. With the Indignados anti-austerity movement, the team discovered that increases in the volume of online posts were followed by rises in physical participation. The researchers found the same relationship with the Occupy protests. In addition, increases in on-site incidents could be used to predict boosts in social media activity, for example through communication of incidents such as police brutality. However, no link was observed between social media posts and physical participation in the Vinegar demonstrations, which opposed rises in public transport fares. Dr Mercea said: “From the Arab Spring to the Indignados, the London riots to the Occupy movement, a heated debate has unfolded on the matter of whether the use of social media has a bearing on street protests. “In this paper, we query the type of information that scales up on Facebook and Twitter during multiple instances of political unrest. Our conclusions highlight that social media usage among street demonstrators varies considerably across different national contexts. “Whilst rises in the volume of posts on Facebook and Twitter helped predict a corresponding fluctuation in the number of participants in one research case – the Spanish Indignados movement – a feedback effect was detected in the prediction of online and onsite protest activity during the Occupy protests. “Yet, no relationship could be established between social media data and actions onsite in a third case – the 2013 demonstrations in Brazil against rises in public transportation fares. To read the full paper, Tents, Tweets, and Events: The Interplay Between Ongoing Protests and Social Media, click here. Dr Dan Mercea is Director of the Media and Communications MA programme at City University London, in the Department of Sociology. Marco T. Bastos is a postdoctoral researcher at the University of California. Arthur Charpentier is a Professor in the Department of Mathematics and at University du Québec à Montréal.